Nope, this wasn’t happening. There was just no way. It wasn’t possible. Nope, there was no way that she was standing there, next to a, what she assumed was a fire breathing dragon, a boy who was dressed in what looked like a batman costume, and yes, a river of lava which she was standing just a few feet away from. She would have thought it would have been hotter standing so close to lava. There it was, flamed shooting out of it from what she assume was explosive heat as there were bursts of ash shooting out of them. Nope, this just wasn’t possible. After all, just seconds ago, she had been in a hospital room. She had been using crutches to rush across the room. It had been cold in there as all hospitals even in full on summer were cold. No It wasn’t possible, this was just not possible. Riley looked back to Bruce who was being held by a monstrous dragon, its claw looking massive as it held Bruce up like he weighed nothing. Bruce wasn’t looking at the dragon, and he was much calmer now as he looked over at Riley. Riley was sure she looked scared enough for the both of them. “Riley, what are you doing here? You shouldn’t be here.” Bruce yelled at her, but it was hard to hear him as he was nearly deafened by a rush of flame that shot up from behind. “Bruh, you were calling out in your sleep. I was trying to wake you up.” Riley screamed. Yeah, Riley looked up at the dragon towering over them, and was a little put off that Bruce wasn’t at all concerned as the nostrils flared up. Well of course he wasn’t. Who would ever be afraid of a huge dragon like that. A huge, smoke coming out of his nose, teeth the size of small children and eyes pitch black, dragon that was focused squarely on the two of them. Who would ever be afraid of that? Right? Bruce turned to look up as the dragon was breathing in deep. If Riley had to guess, and she sure as heck hoped she was wrong, that dragon was getting ready to turn them into shish kabobs. “I think we’ve just been invited to the BBQ.” Riley said, backing away from the beast that still held Bruce over the edge. “Yeah, dinner for two,” Bruce said, studying the large creature. Riley looked back at Bruce and studied the suit he was wearing. Sure enough, a dark, bat shaped suit reminiscent of the comic books. Though it wasn’t like anything Riley had ever seen before, and the suit was shredded in different places where the dragon’s claws had dug in trying to get at him. Riley looked back to where the dragon held Bruce. 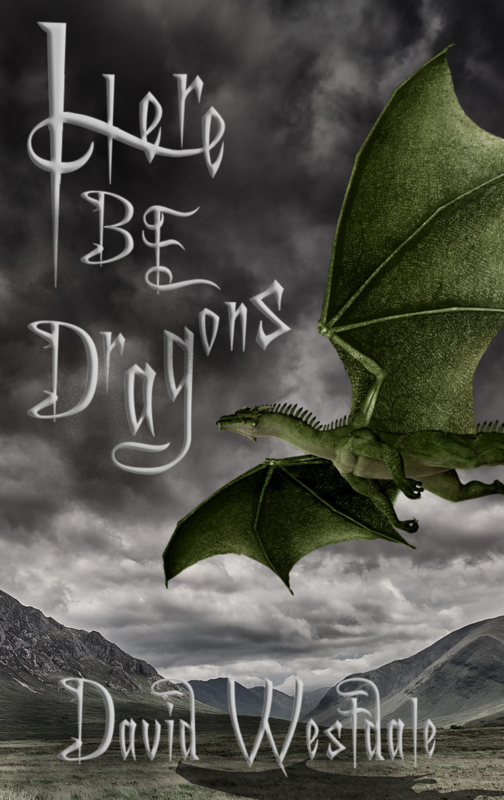 The dragon was lifting him higher, and the nostrils were flaring with more intensity. The amount of smoke that came from them grew, now comparable to that of a chimney. “Yeah?” Riley yelled back to him, wondering what she could do. She had to do something to save him, but what? Bruce, or Batman, as Riley couldn’t get past the black cape drooping down from the large claw that held him. She had to though, it wasn’t going to do Riley any good if she was just going to stand there and watch. There was to be something she could use. There just had to be. Riley looked around, spinning as she studied the landscape, and growing frustrated by it. It wasn’t fully realized, really brining home the fact that she was really in a dream, Bruce’s dream. That wasn’t really Batman who was gripped in that creatures claw, but the kid she had just met back in the hospital room. So when she looked into the distance and saw nothing but darkness just beyond the edge of the horizon, she knew it was because there wasn’t need for distant objects. When you dream, there isn’t more than the immediate world around you. Just the same, that didn’t make it any less disconcerting to be looking a few hundred feet away and seeing the end of the world. Riley looked back up to Bruce’s grim expression and saw that he was looking up at the descending open mouth of the dragon. Riley didn’t need to look, she could feel the hot air around him getting warmer and that was good enough. She had to act. She needed a rope, something she could throw up to him to pull him free, but Bruce was the one with the utility belt and even if it had rope in it, there was no way Bruce could get to it. Then Riley saw something moving out of the corner of her eye. She looked at it and then down at her hands. Not only did she have rope, she was already spinning it, twirling it around to get momentum behind the throw. Where had this come from? She had thought about needing rope, but… Dream logic. She was in a dream, his dream. She had thought about how she needed rope, and here it was. It even had one of those three hooked ends on it you see in movies. She guessed that would make it easier to catch onto something, but the weight would also make it easier to throw. Dang, no time to think about this now. She had to save him. She spun the rope, spinning it as hard as she could. “Get ready!” She yelled up to Bruce, who hadn’t been looking at her, but the glowing orb that was forming in the dragon’s mouth. Bruce did a quick look over his should at Riley, but then a second longer look when he saw what she had. “Don’t worry about it, just catch.” She threw the rope at him, but he wasn’t ready and it went past Bruce and bounced off one of the enormous teeth of the dragon. She was already trying to pull the hook back, but it was already to late. The dragon turned to look at her, and she could see that she had just ticked it off. “Um, Bruce?” She choked out. “Run!” He yelled, just as she saw that the glowing orb that had been rising in the things mouth was now escaping in a blast of fire aimed at her.